Mohammed and his two daughters (faces were blurred at the request of Mohammed). The first time I met Mohammed he was a quiet, slim man who patiently listened, examined and looked to understand each situation as they greeted him. He was a quiet man and he didn’t speak to us for a couple of hours, he seemed to just want to listen and get a better understanding of who we are and what we wanted before he was comfortable to open up about his story. We met with him several times over the course of two or three months before asking him to tell us about his story. Mohammed wanted a simple life and like many in his family he joined the Police force at a young age and served his city and country like anyone else would. He was married in 2007 and his first daughter was born just one year later. When he was living back in Yemen his family had a history of working in the police force and military organisations and after talking with him for several hours we soon discovered his father worked for the Yemen immigration service, which felt somewhat ironic given his present situation and if you understand or know anything about Yemen you will know that they accept various refugees from many different countries that surround them, especially coming from Africa, such as Sudan, Somalia, Ethiopia etc. So, the fact that he was now asking for the same help his father once gave out, it felt embarrassing to listen to his story and hearing the way he and many of the other Yemeni refugees have been treated since arriving on Jeju. As we talked with him it became clear that all he wanted was to go back home to see his family, especially his wife and two children, and being on Jeju was his last resort to stay safe after leaving Yemen due to the raging civil war in 2018. As I mentioned above Mohammed’s father worked in the Police as a District Director or Superintendent, at the immigration office but unfortunately he passed away in 2004. Mohammed himself worked in the Police force, and was a Senior Police officer, serving in Sana’a and mostly involved with training recruits. Four of his uncles were also serving in the military or police forces. His first uncle was a Deputy Inspector General also in the police force, his second uncle was a Brigadier General in the air force, who had disappeared in early 2018 and not been seen since. Nobody knew where he is or why he disappeared, but they suspect a kidnapping of some sort. His third uncle is serving in the Air Force as a Captain, for over 25 years, in a very similar position to Mohammed, mostly working with training recruits. However, after the Houthi took control of Sana’a they effectively took control of the Police and other military institutions in the city and gave all serving members two choices, serve with us or be imprisoned. Another uncle, who also served in the police force lost his leg in a car bomb attack in 2014 and Mohammed himself has received various death threats from Al Qaeda, only because he was a Police officer. So, for him and his family, and after the war broke out again in 2015 it was an incredibly dangerous place to be living. 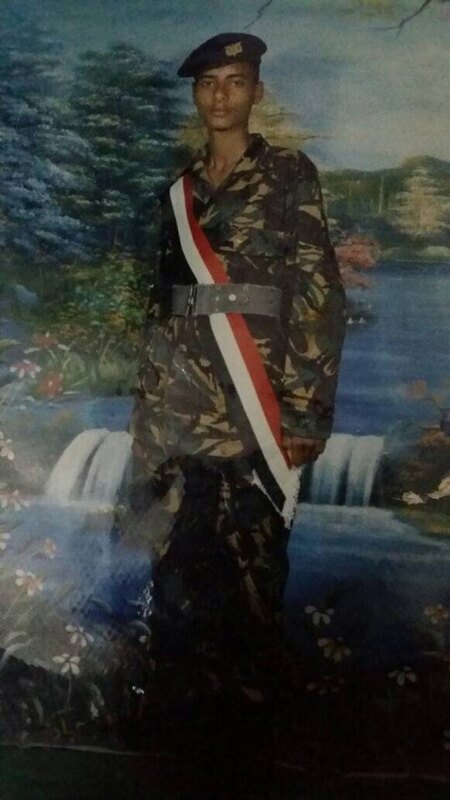 In 2014 several of his police colleagues and friends were forced to join the Houthi rebels because they had no choice and were killed in the line of duty quite soon after. At this moment he didn’t know what to do, as he was offered very little choice by the Houthi rebels, join us and train our recruits or be imprisoned and potentially killed. His brothers had talked many times about wanting to try and escape the country but it wasn’t until April 2017 that they tried. However, when they attempted to escape they were caught and imprisoned in a small jail by the Houthi rebels. They were captured at a very famous checkpoint, known to many Yemeni, as “the point of no return”. If you were caught at this checkpoint it would be almost impossible to escape the country and you were likely to be put in prison. After one of his brothers was caught here, he was imprisoned with another 15 men in a tiny room with no space to move and no food. Fortunately, it turned out that his brother was quite an influential person within the city and whilst being imprisoned he was coerced by the Houthis, mostly in order to bring in more troops to fight for their cause. Mohammed recalled the time he was finally released from the prison and he noted his brother had clearly changed, “His mind was not the same as I knew. After just 10 days my brother had changed. Maybe from the torture, maybe lack of food and water, I don’t know, but he was not the same person we knew. He had lost his mind and was going crazy. There was no way to control him and my family were incredibly worried about the whole situation. Nobody knew what to do”. Since meeting and talking with quite a few of the refugees on Jeju we have now heard many similar stories like this, and that if they refused to fight for the Houthis, they would be imprisoned in a military installation or building and just left there to die. The Houthis knew that eventually the Saudi-led coalition would bomb the building and therefore end up killing them, and so they would not be blamed for these deaths. We heard this same story from all of the Yemeni refugees we talked too. This was the last time his brothers attempted to escape but for Mohammed, his situation was getting worse and he felt that he had to try because he feared for his life and that of his family. If he were to stay, the future would have been extremely dangerous for him and nobody knew what the outcome could have been. He could only refuse serving the Houthi rebels for so long before they would eventually just arrest him and put him in prison and one thing to remember about his position, he didn’t want to fight for the Houthis and the government did not exist in Sana’a, so they considered he was a traitor to the rebels and therefore as good as serving the ‘enemy’ in their eyes. This put him in an incredibly dangerous position. At that moment all he knew was, six of his cousins had already been forced to join the Houthis and had been killed in the war. 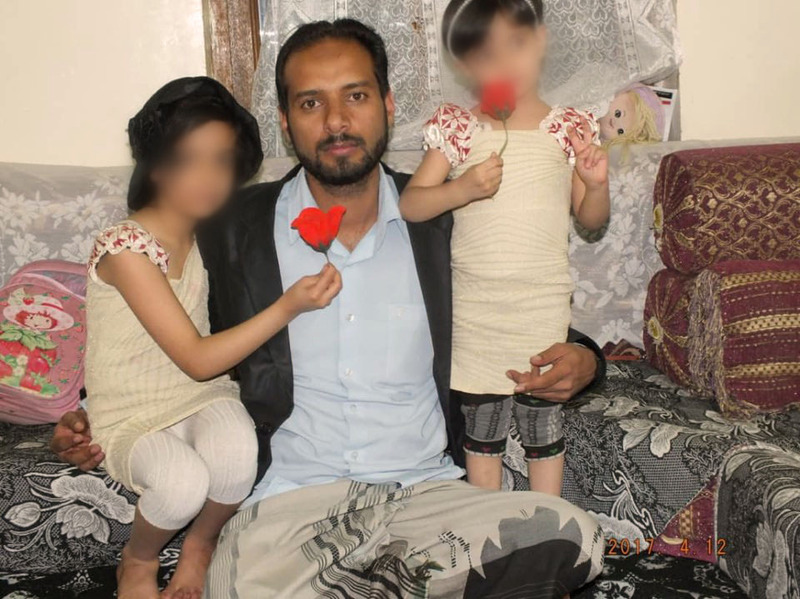 He had a wife, two small children and had never left Yemen before. He wanted to do his duty as a police officer and serve his country, not fight in a war he didn’t believe in. The rebels had their own agendas, as did the standing government and Saudi coalition, so, his family decided enough was enough, and they wanted someone to survive. So, they came together and made the decision that he must leave Yemen as soon as possible. The night before he left, his family and friends came together to say their goodbyes and to pray for his safe journey, hoping that he can survive and help them in the future. The only way for him to leave without being captured was if he was accompanied by women, because there is a tradition in Yemen that if you travel with women in a car, the military are not allowed to search your car. But, in a time a war this was sometimes overlooked by the rebels and even sometimes the government troops. In any case, Mohammed had no choice and so he set out on his epic journey with his mother, brother and sister-in-law to try to escape the country. In January 2018 it was time to leave. He said his goodbyes to his wife and children and he set off, other family members in tow and on a journey he would never forget, and a journey that could easily be turned into a Hollywood film any day of the week. Please note that this is not an extensively detailed account of his escape. He left Sana’a and headed south to Dhamar before moving onto Al Bayda, a 10 hour drive away and each checkpoint he came too was a new battle with unknown outcomes. Now, one thing we need to remember here is he was a Police Officer and at each checkpoint there were documents with the names of each army, police officer or any other military officer in case they decided to flee. If captured they would be imprisoned or potentially killed, so the journey that started at Sana’a and ended in Muscat in Oman was fraught with danger at every turn. Not only did he have to pass through Houthi checkpoints, he also had to pass government controlled ones as well and if it wasn’t for the presence of his mother and sister-in-law he would have arrested immediately. A few days before he left his family devised a way to go and a story to tell at each checkpoint. He was heading to Seiyun to attend a friends wedding. At Al Bayda, a Houthi controlled checkpoint he was stopped and asked for papers and many questions about where they were going and why. He told me, “We came up with the idea of attending a friends wedding, we called to our friends so they knew what to do if anyone called them and we went. We had to plan ahead of time to make sure if we were stopped and questioned we had the information ready and it was believable”. At Al Bayda they called back to Sana’a to ask if anyone knew them and to check their identities. Luckily he had some new documents and the people called said they were not on any of the lists or known as a threat working for any of the military organisations. This checkpoint was the “point of no return”. The rebels then called to Seiyun to check the wedding story as well, where some friends had the plan fully under control. If they were caught here they were done for and a prison cell awaited but luckily they checked out and were allowed to move on. The first main checkpoint was over, but there were to be many more. By the end of the journey Mohammed believed they had to pass through around 100 different checkpoints. “Some we had prepared for, others we did not know existed, so we did anything in order to pass through them without any problems. We would often wait until night because it was easier, and sometimes we would even crash into the lights set up next to the checkpoint to cause a distraction and make it harder for them to see any faces or do anything”. After spending around 6 hours at the main checkpoint they headed north to Marib and then headed West directly into Seiyun. This part of the journey took over 13 hours and one might wonder why they didn’t just head to Marib from Sana’a, well the simple answer is the roads were highly controlled by both Houthi and government forces, so they set out the best route to try and avoid as many checkpoints as possible. After arriving in Seiyun they rested for 1 day, his mother was tired from the travelling and by this point they had already been on the move for 2 days without stopping, except at the checkpoints. They rested and then left Seiyun headed to the Al Mahra region, specifically towards the South East of Yemen and the city of Al Ghayda. This would be a 19 hour drive passing through endless checkpoints, either bribing some of the guards or passing through at night in order to avoid being detained for longer. Eventually they arrived in Al Ghayda and could take some rest. He now would have to wait for 1 week to apply for a visa in order to enter Oman. After a week passed by he was eventually granted a visa to enter Oman and he headed across the country to the city of Muscat on the far East coast. At the same time his brother and sister-in-law would head back to Sana’a and Mohammed would carry on with his mother. After driving for another 16 hours across Oman he finally arrived in Muscat where he would stay for a further 2 days before getting onto a flight heading to Kuala Lumpur in Malaysia. The entire journey from leaving Sana’a to arriving in Oman was around 2 weeks, and another day before he finally landed in Kuala Lumpur to what he hoped would be a more peaceful and safer place, at least safer than Yemen. Obviously, within this story I only cover some of the basic details about Mohammad's escape and I believe that each day on his journey to escape the war in Yemen, he encountered so many obstacles before reaching the border at Oman. I encourage you all to use your imagination in thinking about about his journey to freedom, which took over 2 weeks. Each hour and minute he went through whilst driving through a country being torn apart by war, being stopped endlessly at checkpoints, knowing each one could be his last before being arrested and then potentially killed. And then try to imagine the feelings he would have in leaving his family behind, his wife and 2 young daughters, having to watch his brother and sister-in-law depart from Al Ghayda, heading back on the return journey to Sana’a and his mother heading to the UAE in search of one of his other brothers. His entire family had been split up because of the civil war that has been raging on since 2015, and his only hope of freedom lies in a country he has no idea about but it was the only choice he had. Try to put yourselves in his shoes as he steps onto the plane to leave a country he has been trying to defend as a policeman, but has ended up being a place where he became an effective prisoner with only 3 choices, join the rebels, move out of Sana’a and join the government forces or flee. Two of these choices would most certainly have led to fighting his brothers and more than likely being killed in action and the other made he feel like he was abandoning his family. What would you do given these choices? Mohammed spent less than 1 month in Malaysia before deciding to move on and whilst staying in Malaysia he met quite a few other Yemen refugees. Some of which had tried to come to Korea before but had been rejected, so he had no plan to actually try and come here, he had a plan to move Australia. But, he had been told that this was a very dangerous trip, having to go via boat and it would take around 1 month. So, he decided it wasn’t worth the risk to try, as he had heard many had tried and a lot died on this trip. He wasn’t comfortable in Malaysia and couldn’t find much work to support him, in fact he even spent several days living on the streets but it was too dangerous for him to fall asleep on the streets, for fear of being arrested, mugged or potentially killed as well, so he had to stay awake as much as he could. He drank tea for 3 days in order to stay awake and then finally found a few days work just to make enough money so he could move on once again. He decided that had to leave because there was nothing for him there and so he bought a ticket to Jeju and once again his journey continued. Unlike some refugees coming to Korea, he had no problem entering the country at all and was let in without any issue. He was actually quite surprised that he was let in without any questions but at the same time quite relieved, “I felt re-born when I came out of the airport. I got into a taxi and went to a hotel. I had enough money to stay there for just 20 days”. After 20 days his money ran out and so he left the comfort of the motel where he stayed and went in search for another place to live. At this point he didn’t have any money, so as he just walked around with his bag looking for anywhere to stay. Eventually he happened to find a small garden that seemed to be unused and so he climbed over a small wall and hid. He stayed here for the next 15 days. “Serving as a policeman I had pride, honour and distinction, but now, I find myself having to sleep in a garden, in a country where people were protesting my existence, without understanding at all. I didn’t know anyone, and I didn’t want to bother people. I am a proud man and I don’t like to ask for help but at this point I felt my life could not get any worse”, he says. He now found himself waking up in a garden, not far from the first motel he first stayed at. Now homeless, with little hope of work, and all he can do is try to survive until he can look to earn some small money or find someone to help him. “After 15 days I could not stand it anymore. I had no jacket to stay warm at night, nowhere to sleep except the hard ground, I had not slept and I had no money. I really felt like I had hit rock bottom. Each night I would try to sleep but would be woken by nightmares of being back in Yemen and on the journey to escape. It was torturing me to not know what was happening with my family, were they safe, were they even alive. Had they been punished for my escape...I had so many thoughts running through my mind every night and when I tried to sleep they would enter my nightmares”. After leaving Yemen he told me he would try to find out some news each day about what was happening back in Yemen. Were his friends or family members in any danger? And each time he saw the news it was usually about airstrikes, Al Qaeda or rebel attacks and more of his countrymen being killed, especially civilians and children. Since 2015 the war in Yemen has killed thousands of people within the country and left millions on the brink of famine. Back in 2016, around the time Mohammed’s brother was thinking to try and escape a suicide bomber killed at least 40 Yemeni soldiers in Aden, one in a string of deadly bomb attacks against recruits in the war-torn country's second city. "The number of those killed has exceeded 40, with some 50 others wounded," Abdel Nasser al-Wali, head of the Aden health department, told AFP, adding that the death toll is likely to mount due to "critical cases". Medics had initially given a toll of 30 dead. This was just one of the many headlines coming from the war in Yemen and Mohammed did not want to be apart of the dead count. Al Qaeda ambush kills 12 Yemeni soldiers and leaves them decapitated. The attack began on Wednesday with two Al Qaeda militants on a motorcycle gunning soldiers posted in Al Aqeek intersection. The soldiers chased down the bikers only to find themselves caught in a crossfire down the road. "Unexpectedly the soldiers found themselves in an ambush by dozens of Al Qaeda militants, who began firing on them until the soldiers ran out of ammunition. So many of them were killed,” a soldier posted in Hadramawt told The National. Soldiers arrived after the battle to find “corpses with their heads cut off” in a scene they described as a slaughter. These were just a few of the headlines in 2018, so you can imagine how many other people were being killed at this time and before. Mohammed being a Police Officer with a young family did not want to end up like any of his cousins, he wanted to support his family and his country but it was almost impossible. Back on Jeju and after all of his experiences, he eventually found some work on a fishing boat for 13 days, but was let go by the owner for no particular reason. He even begged to stay on and said he can improve. That was how dire the situation was, “It was at this time I visited the center that was helping other refugees. I couldn’t stand to sleep in the garden again. Luckily they found a place where I stayed for 2 days and eventually I was introduced to more of the Yemeni refugees. I thought things would get better at that point”. One popular misconception by many in Korea was that these refugees all knew each other and it was quite surprising each time we talked to them to discover most of them had never met before Jeju and even on Jeju many of them didn’t know each other. They had at this point split up into smaller groups in order to try and survive as best they could. Not all of them could find jobs, so they supported each other as best they could, with upto 10 of them sharing one room and then anyone earning money contributing to the bigger pot, to make sure they could all survive. Each night as he looked up at the sky he wondered about his family. He brought some photos of his family and constantly wondered what they were doing. “I often wonder if one day I will stop receiving messages from them. If that day comes I don’t know what I will do”. His nightmares of the war would continue, as he knew many who had been killed due to being forced to join the Houthi rebels. All he wanted was the chance to fend for himself and earn some small money for living and eating. It seems like a simple request but even this seemed very difficult, especially when so many people were protesting their existence. “What can I do to convince people we are just like them? Maybe nothing...When I arrived and heard about the protests it seemed they had already built up some prejudice against us, with no information and no attempt to understand. I feel incredibly bad about the whole situation, but like the others who fled here I had no choice. My life was in danger if I stayed. I wanted to protect and be there for my family by staying alive”. After talking to his family back in Yemen, they told him the houthi rebels had found out that he had escaped the country, and they now considered him to be a spy for the UAE. So, if he returns to Yemen he would more than likely be killed. At this point things had not gotten better, in face they were getting worse. When we heard about Mohammed and his job back in Yemen, we felt that he would qualify for refugee status. In fact it is quite obvious from listening to his story if he were to return he would most certainly been thrown in prison if not killed. So, considering he is a former Policeman and was rejected it came as quite a surprise to me, as I am sure it might come as a surprise to you. It actually made me question whether the screening process was effective at all, and it feels as though the Korean government just decided to allow the Yemeni ‘refugees’ to hold a humanitarian visa from the beginning. If journalists who have spoken out against the rebels and the regime in Yemen are in threat of persecution, then a former Police officer, who has had death threats from Al Qaeda as well as threats from the Houthi, surely he should be at the top of the list for refugee status. He was actually denied because the government felt that because his brother and mother were staying in the UAE, so, according to immigration officers, this is considered as a ‘safe place’. Even though and as we know, in order to enter the UAE he would need a visa in the first place, which as it stands is not possible for Yemeni people to get. This seems to show a misunderstanding coming from the government and somewhat of a lack of knowledge in regards to what is actually happening in and around Yemen. Or perhaps they are just unwilling to open the door to refugees, which looking at Korea’s history with refugee acceptance seems to make a lot more sense. 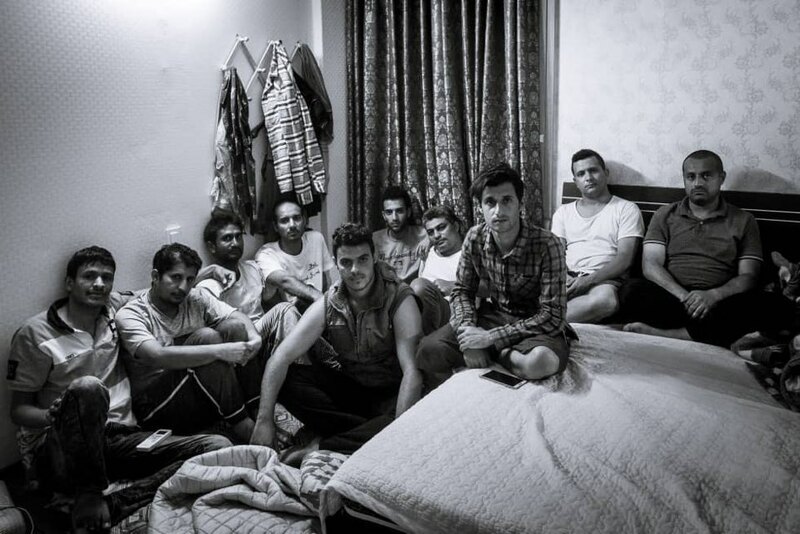 Mohammed with some other Yemen refugees - often they shared a room with up to 10 other people due to lack of money and support. Mohammed, like many of his fellow Yemeni brothers and sisters is still living on Jeju and fortunately has now found work on a fish farm, so his future is looking much brighter, but he is still awaiting the outcome of the appeal of his refugee status. This feels like the beginning of his story and we will be returning to Jeju early next year to catch up with him on his life and his family. We can only hope that the MOJ and the immigration service open their eyes a little more to what has been happening in Yemen and why these men, women and children have chosen sanctuary in this country. Within my last two articles I focused mostly on South Korea and its relationship with the Middle East. As I am British, I felt that it was also necessary to explore the history between my own country and Yemen and after researching this history between the British Empire and what is now known as Yemen, it came as no surprise to discover that we had a significant foothold within the Middle East post World War I. As I am a man who likes to keep to his word, and I have on numerous occasions stated, “Those who cannot remember the past are condemned to repeat it ”, it would be somewhat ironic if I were to ignore my own countries history and dealings when it came to a topic that I was working on. Therefore, it came time to once again open my mind and start to look at what influence the British Empire had within the South West Arabia, and particularly Yemen post WWI and WWII. The rest of this article explores the relationship between The British Empire and Yemen post WWI. In the early years of the twentieth century Arab nationalism was the province of a small elite who dreamed of a greater Arab role. Towards the end of World War I, the British were in control of Syria, Palestine and Mesopotamia (Iraq), and British, French and Greek forces stood ready to march across the Bulgarian border and occupy Ottoman Thrace and Constantinople. And in November 1919, there seemed to be little the interim Ottoman government could do to stop the Allies. The remnants of the two Ottoman armies, destroyed by the final British offensive in Palestine and Syria were slowly reassembling under Mustafa Kemal’s command in Cilicia, north of Aleppo. In Mesopotamia the battered but still intact Ottoman Sixth Army regrouped north of Mosul and awaited orders. 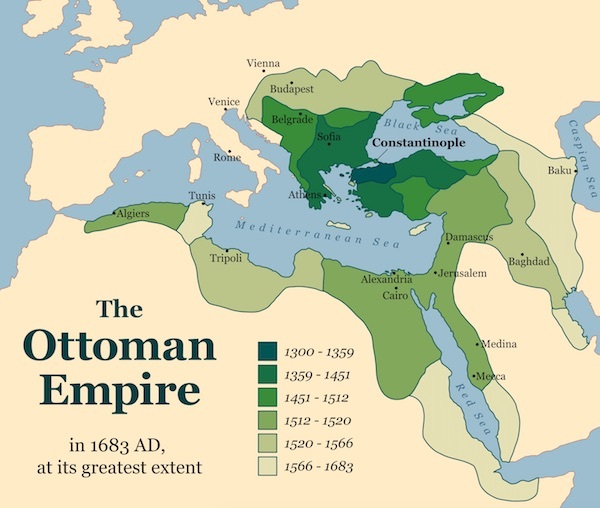 Far away to the south in Arabia, General Fakhri Pasha and his besieged garrison at Medina continued to hold out, having grimly defied Arab attacks for more than two years. Fakhri would not finally surrender until February 1919. Jumping forward to the 1950s, Egypt, was now under the reign of Nasser and was to play a significant role in the development of this era. As the British Chiefs of Staff noted just prior to the outbreak of the Suez crisis: “The need to deploy forces in the Colony of Aden and the Aden Protectorates will continue for as long as we can foresee”. The geographical position of southwest Arabia, particularly Yemen and Aden, had a continued role in the convenient solution for transport of goods throughout the East and West and the British base in Aden became a significant asset for this reason. Damascus, Beirut and Baghdad were the cities in which the anti-western brand of Arab nationalism was first generated, and it was its adoption by the new military leadership in Cairo which gave it great political significance; Aden by contrast appeared as a provincial backwater. Britain was on retreat from Africa and East Asia regions in the early 1950’s and so the coastline of Yemen, in particular Aden, positioned as one of the most significant trade routes between the Mediterranean Sea and the Indian Ocean became invaluable. Aden would prove to be a place to bring together the imperial governments of Southern and Eastern Asia, in turn connecting them to the Western world and at this time was becoming a hustling and bustling city, bringing in vast amounts of goods being distributed around the world. It was becoming the center port for all deliveries between East and West and therefore became of great interest to many. During the course of 1955, 5,239 vessels called at the harbour of Aden, making it the second busiest port in the world after New York. Aden had retained its historic role as an entrepôt for East—West trade and was visited by all the major shipping lines operating in the western half of the Indian Ocean. Between 1955 and 1959 the British pursued an ambitious programme in southwest Arabia designed to consolidate their long-term influence in the region. In February 1955 a defence pact between Turkey and Iraq was signed and the reactions of the British and Egyptian governments to this event provided a definitive demonstration of the irreconcilability of British imperialism and Arab nationalism. During 1956, Nasser laid successful claim to the leadership of the Arab world and for the next decade he became a cynosure guiding politicians and people from Algeria to Yemen in their struggle to recreate a dignified role for the Arabs following the perceived humiliations of European rule and the establishment of a Zionist state in Palestine. The Anglo-Egyptian conflict of the 1950s and 1960s was predicated not on a clash of interests but on an incompatibility between two different visions of Middle East order and formed the backdrop to events in southwest Arabia. To Nasser the attempt to bind Iraq and Jordan to a coalition of non-Arab western oriented powers was a threat to Egypt’s regional ambitions. In his view the interests of Egypt were linked inextricably to those of the wider Arab world. Nasser responded to the actions of Turkey and Iraq by drawing closer to Syria and negotiating an arms deal with the Soviet Union. His argument that the Baghdad Pact was a cover for western imperialism was forcefully presented by radio Cairo and in the Arab press. By the 1960’s Aden had become a major trade route and employed over 11,000 locals, as well as attracting a large number of immigrants for opportunities of work. The British and American attitudes towards Nasser differed but they still undertook joint operations to undermine his position, under the codename Omega. The primary aim of the Omega operations was to discredit Nasser as an Arab leader by weakening his domestic position and building up his rivals abroad. The motivation behind Eisenhower’s opposition to the British invasion of Egypt is the subject of some debate but it reflected at least in part the greater priority which the United States gave to the Cold War confrontation in comparison with the increasing British obsession with the threat from Arab nationalism. However, once the Eisenhower administration understood the extent of Nasser’s hostility to British plans, they attempted to dissuade the British from encouraging new Arab members to join the Baghdad Pact. Anglo-American differences on the matter of how to deal with Arab nationalism diverged further after Nasser nationalised the Suez Canal. The motivation behind Eisenhower’s opposition to the British invasion of Egypt is the subject of some debate but it reflected at least in part the greater priority which the United States gave to the Cold War confrontation, in comparison with the increasing British obsession with the threat from Arab nationalism. 2. 30 October: More paratroops dropped to the east of Mitla Pass. Troops begin crossing the border at Qussaima. 6. 5 November: Israelis capture Sharm al-Sheikh to lift blockade of Gulf of Aqaba. By this time Britain was planning war with Egypt to regain control of the Suez canal and on October 29, 1956, Israeli armed forces pushed into Egypt toward the Suez Canal after Egyptian president Gamal Abdel Nasser (1918-70) nationalized the canal in July of that same year, initiating the Suez Crisis. Around this time Aden was singled out as a vital asset in the defence of British Middle East interests. 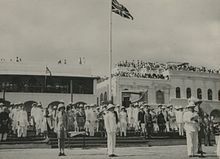 In addition the Defence White Paper produced just a few months after the end of the Suez crisis affirmed that Aden should be retained as a key element of Britain’s new defence policy. It stated: “Britain must at all times be ready to defend Aden Colony and Protectorates and the territories on the Persian Gulf for whose defence she is responsible. For this task land, air and sea forces have to be maintained in that area”. During the 1960s, Soviet and American policy in Yemen was based on realpolitik strategic calculations, rather than ideologically-based decisions. The Soviet construction of the western Yemeni port of Hodeidah (Al Hudaydah), was part of a broader Soviet effort to secure international shipping, particularly along the Red Sea and the entryway to the Suez Canal. Although the British clung on in Aden until 1967, the attempt to prolong British imperialism had unintended consequences, most notably the radicalisation of politics in Aden and the Protectorates. After 1967 the new leaders of the People’s Republic of South Yemen (PRSY) rejected Cairo’s brand of Arab nationalism; the extension of British rule for a sufficient length of time to witness the decline of Nasser’s influence provided some consolation for policy-makers in Whitehall. The British continued to push for alternatives to Nasserism post 1967, so they could keep a foothold within the Middle East but it came at risk, and eventually eighteen months after the British withdrawal the National Liberation Front (NLF) initiated the so-called ‘corrective movement’, in which the pragmatic Qahtan was replaced by a clique of Marxist ideologues including Muhammad ‘Ali Haytham and ‘Abd al-Fattah Isma‘il. In 1970 this group declared the creation of the People’s Democratic Republic of Yemen (PDRY). North of the border the conclusion of the Yemen Civil War led to the abolition of the Imamate and in 1970 the inauguration of an era of authoritarian politics and liberal economics came into the Yemeni Arab Republic (YAR). In order to understand this in more detail we should look at the underlying issue that is the relationship between Saudi Arabia and Iran, two of the biggest players when it comes to Middle East politics. Yemen was ruled for a millennium by Zaydi Shia imams until 1962, and the Houthis were founded as a Zaydi Shia revivalist movement. However, the Houthis have not called for restoring the imamate in Yemen, and religious grievances have not been a major factor in the war. Rather, the Houthis' demands have been primarily economic and political in nature. In 1839 the British set up a protective area around the southern port of Aden. 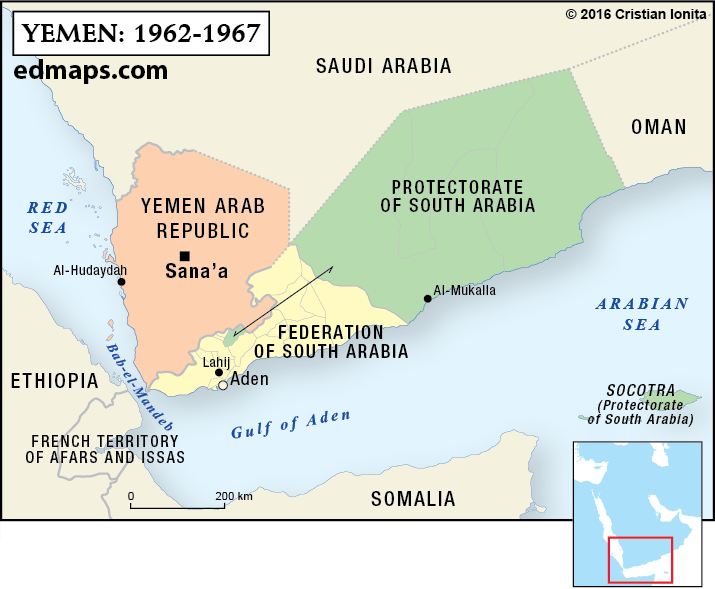 North Yemen became a republic in 1962, but it was not until 1967 that the British Empire withdrew from what became South Yemen. He British Empire had control for a substantial part of the 20th Century in Yemen and assisted in the way it would develop moving forward into the 21st. Since 1979, the Saudi narrative has focused on a specific understanding of Iranian ambitions in the region. The Saudi perspective is that they are engaged in a defense of the status quo against a revolutionary, militaristic and expansionist Shiʿa theocracy. In this context, Saudi Arabia is content to maintain the current regional order, whereas Iran is in its ‘Trotskyist’ stage, seeking to export revolution. Iranian ambitions do, however, precede the 1979 Islamic Revolution, as Henry Kissinger had discussed with Shah Reza Pahlavi (documented in Andrew Scott Cooper’s book The Oil Kings) the possibility of the then-key American ally and pre-eminent regional military power taking over Saudi and Kuwaiti oil fields. The Iranian regime is animated both by this historical memory and a deep enmity towards Saudi Wahhabism. Saudi elites consider Iran an existential threat, as its imperial ambitions involve overturning the ruling order in the Gulf. In the Iranian narrative, their country is considered an ancient regional power, historically dominant and impelled to remain so. Governments post-1979 have simply been operators – rather than shapers – of Iran’s foreign policy in this regard. Iran's 1979 Islamic revolution played a big role in creating the hostile environment we see today. Iran engages in power politics like any other state, the difference being that the state in Iran (since 1979) is uninterested in being a member of the international community. Though it desires economic interaction and integration into international trade flows, it draws a distinction between such conduct and political dealings; a reflection of the ruling political Islamist ideology. Neither is it interested in sharing intelligence or capabilities on matters of national security with other countries in the region. 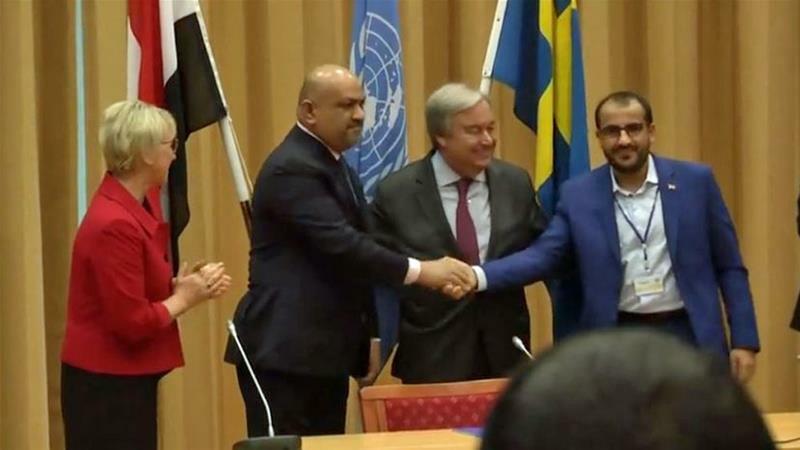 Yemen on the other hand has a history of shifting alliances amid interference from outside actors. Relations between South Yemen (the People’s Democratic Republic of Yemen or PDRY) and Iran changed entirely after the 1979 Iranian Revolution, as they had been on very poor terms with the Shah, later becoming cordial with the Islamic Republic. North Yemen (the Yemen Arab Republic or YAR) had very bad relations with Iran as Yemeni President Ali Abdullah Saleh was firmly on the side of Iraq during the Iran–Iraq War. Then-Iranian President Khatami met Saleh – by this point, President of a unified Yemen – in 2003, and managed to reach an accord, which later deteriorated after the beginning of the Houthi insurgency in 2004. Saleh then invested heavily in portraying Iran as behind the Houthi movement, a narrative that convinced neither the US nor Saudi Arabia at the time. The conflict in Yemen has never been fought along a clear-cut sectarian axis. Saudi Arabia has supported a variety of groups there, including the Zaidi/Shiʿa Imamate of North Yemen in the 1962–70 civil war, and subsequently both tribal groups and the state in order to keep Yemen neither too weak nor too strong to pose a threat. Saudi Arabia even implied it would recognise South Yemen’s secession, but relented in exchange for permanent recognition of Saudi ownership of disputed borderland territories after 2000. The most recent Saudi adventure in Yemen, launched by newly-appointed Defence Minister Prince Muhammad bin Salman in 2015, was justified as a mission to restore Yemen’s legitimate government. Jumping forward briefly to today, and according to statistics produced by YouGov recently, more than half of British people are unaware of the so called “forgotten war” currently happening in Yemen, even though the Government’s support for a military coalition has been accused of killing thousands of civilians. And I am sure that a large percentage were unaware of the British Empire’s colonisation and history with Yemen, and the subsequent battles that were undertaken in order to try and control this area. So, when we consider the current civil war raging on in Yemen, we, the British Empire, should also be held accountable and when we consider everything from a historical context it could be easily argued that we caused the lead up to this mess in the first place. 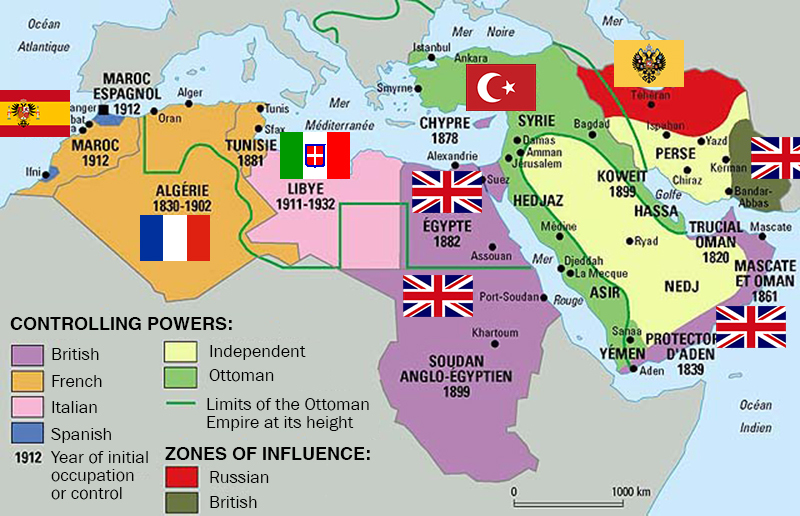 Maybe not by direct action but historically, the British influence within the Middle East caused almost an evil circle of events that transpired and pushed Yemen and other Middle Eastern countries into the situations they are currently in. As it stands the US and UK are only backing the biggest players within this region, namely Saudi Arabia and anyone who has opposed these forced colonizations of the past, such as Iran and the Yemen Houthis rebels, are constantly being pushed aside, and it becomes clear to see why we are now at this point in history. They are only backing them due to the resources, location, power and money they hold and that has been seen with other military based invasions, such as Iraq and Afghanistan. These may have been retaliation to the so called ‘terror’ attacks by Al Quaeda, ISIS etc.., but clearly they were pursued for bigger and more important factors, which always came down to location and resources, such as oil. Moving back to the late 1990s, the union of the two Yemens reflected both the regional and global victory of capitalism over communism: the free marketeers in the north effectively annexed the socialist government of the south. Southern resentment flared up in 1994 and caused a brief civil war whose conclusion reconfirmed the northern victory. This brought us up to the modern era, where a coalition government was formed in April 1993 made up of ruling parties of former north and south and then in August the Vice-President Ali Salim al-Baid withdrew to Aden, alleging that the south is being marginalized and southerners are being attacked by northerners. Saleh declared a state of emergency in May 1994 and dismissed Al-Baid and other southern government members following a political deadlock and sporadic fighting. Al-Baid declared independence of Democratic Republic of Yemen and Northern forces captured Aden, whilst the southern leaders fled abroad and were sentenced to death in absentia. There were a number of other attacks that led up to 9.11 during the 1990s and early 2000s, including the US naval vessel USS Cole which was damaged in an al-Qaeda suicide attack in Aden in 2000, killing 17 US personnel and sparking more violence leading up to February 2002 when Yemen expels more than 100 foreign Islamic clerics in a crackdown on al-Qaeda. In October Al-Qaeda attacks and badly damages oil supertanker MV Limburg in Gulf of Aden, killing one and injuring 12 crew members and costing Yemen dear in lost port revenues. We then see the Houthi insurgency in 2004, when hundreds are killed as troops battle the Shia insurgency led by Hussein al-Houthi in the north. 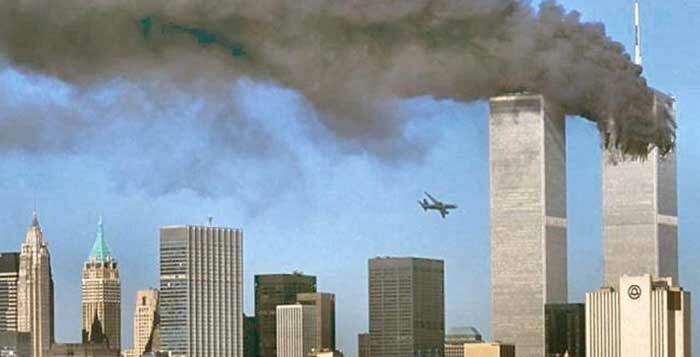 After 9.11 the US took great steps in attempting to combat terrorism throughout the Middle East, some successful and others drastic failures. But, throughout the period they held a strong foothold within this area and in particular Saudi Arabia and UAE. The Houthis and the Yemeni government have battled on and off since 2004, but much of the fighting was confined to the Houthis' stronghold, northern Yemen's impoverished Saada province, however, in September 2014, the Houthis took control of Yemen's capital, Sana’a, and proceeded to push southwards towards the country's second-biggest city, Aden. In response to the Houthis' advances, this coalition of Arab states launched a military campaign in 2015 to defeat the Houthis and restore Yemen's government. At the end of the day it all comes down to how we act and as we are all well aware, in war, the biggest casualties are always the civilians, especially the children, and so it is vitally important that we as the general public are more aware of our own country’s input into these problems, because most of them have stemmed out of our attempts at colonisation and want of power, stemming out of the 2 World Wars. Saudi Arabia has also started to implement precautions against Iranian threats to close the Strait of Hormuz and stop the Gulf oil exports by building an alternative oil pipeline from its borders passing through the Yemeni district of Al-Mahrah to the Arabian Sea. As I noted in my previous article, Butler also pointed to the fact that the Obama administration had long been aware of Yemen's substantial gas capacity. He quotes Ambassador Stephen A. Seche's 2008 secret cable, published by Wikileaks, which reads "that the governorates of Shabwa, Marib and al-Jawf have high potential for significant gas deposits." As for oil, according to the detailed 2002 United States Geological Survey (USGS), Yemen possesses vast offshore oil reservoirs in addition to its 3 billion barrels of proved oil reserves, the analyst underscores. That is why neither the Obama administration, nor European governments are rushing to help the Yemenis being bombed and shelled by Riyadh: all of them have their own vested interests in the Middle East. Back in the 1980’s Yemen was considered one of the poorest countries in the World, even though there was such potential for its oil and gas resources. South Yemen was among the most underdeveloped countries in the world. Except for oil, the country is poorly endowed with natural resources, and potentially cultivable land is less than 5 percent of the country's total area. Although agriculture accounts for nearly 15 percent of gross domestic product and employs about 50 percent of the workforce, South Yemen has to import about two-thirds of its food requirements. 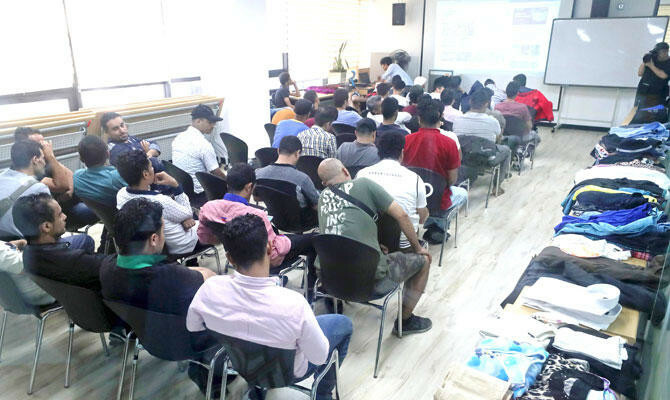 The country suffers from a manpower shortage, primarily because about 20 percent of its total labor force works abroad, according to the International Monetary Fund. Yemen has been in the perfect position to be manipulated and controlled by various powers since the British Empire abandoned it in 1967, especially Saudi Arabia, who lie to the north and who have a clear and vested interest in what is happening in and around the country. And in September 2018 Saudi Arabia started construction on a pipeline in the Al-Mahra province in Yemen according to a high ranking Yemeni official. The pipeline will allow the kingdom to bypass the Strait of Hormuz and the Bab-el-Mandeb Strait to transport oil directly to the Arabian Sea. Residents of al-Mahra are protesting the Saudi military occupation of the province as well their construction of an oil pipeline without local approval. Mint Press New reports: The official, who spoke on condition of anonymity, said the new pipeline would allow Saudi Arabia to export oil from refineries in Al-Mahra through the Rub’ al Khali Desert, the largest contiguous sand desert in the world, which lies in Yemen’s northeast. As a result, residents in the Al-Mahra province have organized an open sit-in, rejecting Saudi policies in their country as well as the kingdom’s dominance over vital infrastructure in the area. Seventeen percent of petroleum imports to Yemen enter from Oman through a border crossing in Al-Mahra, which, along with the province’s seaport and airport, is under Saudi and UAE control. Yemen’s Oil and Mineral Ministry has denounced the looting of the country’s oil resources by Saudi Arabia, saying the move is a blatant violation of international law. The ministry said in a statement on Saturday that Saudi Arabia transports Yemeni oil to the Arabian Sea through a pipeline which extends from the Rub' al Khali desert to Hadhramaut and Al-Mahrah provinces south of the country. It said that Riyadh’s move to plunder Yemen’s wealth is done with the complicity of the country’s former Saudi-allied government. Experts say the pipeline would allow the kingdom not to be constrained to the Strait of Hormuz or the Bab el-Mandeb Strait, both strategic choke points that affect its current oil shipping routes. Given all of this, Saudi Arabia's Energy Minister, Khalid Al-Falih, still believes oil markets will achieve balance in 2019. Back in the early 2000’s in Balhaf there was a “golden opportunity", developing local talent. “The plant has been constructed in Yemen by Yemenis,” states Yemen LNG’s General Manager Rafin. “Five thousand people are employed directly and indirectly and the company is involved in the local community, everywhere from schools to construction to scholarships.” HR manager Abdulla Al Wadee says, “We thought we could never start with such a high level of Yemenisation at such a complex plant, but 85 per cent of the staff are now Yemenis, the only LNG project in the world to achieve such levels so quickly. The target is to raise this to more than 90 per cent and bring more Yemenis into senior positions. Abdul Aziz Da’er, General Manager of Dome Petroleum, explains how his firm “started very small” in 1999 but that it was “amazing how the opportunity and hard work” had allowed it to grow. Starting with Total on the Masila oil-fields since 2000, Dome provided electrical works and instrumentation to Yemen LNG. It created jobs for 350 Yemenis at the height of the project, and is now recruiting 50 young people from the Balhaf area for training. On the back of success at Yemen LNG, Dome has won further contracts in Yemen, Algeria and Abu Dhabi. Its local base allowed it to respond to an emergency request from Total E&P within ten days, when a US company would have required eight weeks. Now Dome is working on solar-powered lighting, and wind-farms to be built on Yemen’s Red Sea coast. “No-one will build Yemen for us,” Abdul Aziz Da’er says emphatically. So, before the civil war broke out there was a lot of potential growth happening in Yemen, especially surrounding the oil and gas industries, so we must wonder why the war continues today with so many unanswered questions around the control of resources within the country. Who has the most to gain by controlling Yemen? Is the United Kingdom complicit? In 2015 £7.7bn of arms sales were approved by the Department for International Trade. The Department for International Trade's figures suggest almost two-thirds (63%) of exports go to the Middle East. Of those Saudi Arabia is by far the most valuable client. Brimstone missiles, Typhoon Jets and Paveway laser-guided bombs have all been sent there. There are strict criteria that companies have to meet to sell guns and explosives. These include if there is a threat they could be used for terrorism or used aggressively against another country. The current links between the death toll in Yemen and arms sales coming from British companies and ending up in the arms of the Saudi’s can be clearly seen in two new charts that have been produced and published by The Independent. The UN has verified over 325 attacks on schools, health facilities, markets, roads, bridges and even water points. Over two thirds of the damage to public infrastructure is a result of airstrikes. Violations of international humanitarian and human rights law continue unabated and largely with impunity. (UN, Jan 2017). This is one of the worst crises in the world and is continuing to get worse. Conflict has taken a very heavy toll on the country and its people, exacerbated widespread vulnerability and virtually destroyed household coping mechanisms. As a result, food insecurity, remains unacceptably high. Jamie McGoldrick, UN Humanitarian Coordinator for Yemen. The UK issued 126 licences relating to military goods in 2017, with a value of £1.129bn - according to Department of International Trade figures, in comparison to 103 licences relating to military goods in 2016, with a value of £679m. In total the UK has licensed at least £4.7bn of arms exports to Saudi Arabia and £860m to its coalition partners. However, Britain is not a member of the Saudi-led coalition leading the war against the Houthis but it still continues to license the sale of arms to the Saudi-led coalition. British forces have provided advice and support to Saudi Arabia, which the government says does not involve assisting or directing combat operations. This is a significant amount of trade, especially for the UK, now going through Brexit. What are the positions of the EU and US governments? Germany expressed the intention of stopping exports, with German Chancellor Angela Merkel making the announcement to reporters in Berlin, “I agree with all those who say when it comes to our already limited arms exports (to Saudi Arabia) that they cannot take place in the current situation,” Merkel said, according to AFP. France's president Emmanuel Macron last Friday sought to downplay the importance of relations with Riyadh, saying the kingdom was not a major client of France. However, Saudi Arabia is France’s largest market in the Middle East, even without arms sales. French exports to the Gulf nation totalled almost €4 billion ($4.61 billion) between September 2017 to August 2018, according to economy ministry data. Macron said France has suspended some political visits to Saudi Arabia, like Germany, the UK and the Netherlands as he awaited “clarifications” on Khashoggi's death, but is yet to announce a suspension of arms exports. Previously the top exporter of arms to Saudi Arabia, the UK government has faced mounting pressure over their sales to the Middle Eastern country in previous years. Despite issuing a joint statement with France and Germany on Sunday condemning the killing of journalists as unacceptable, the UK has not announced an arms freeze. Brexit Secretary Dominic Raab said it was a "terrible case" but that Britain would not "overreact" and was “not throwing our hands in the air” because thousands of jobs depended on relations with the country. Spain will similarly not be suspending exports to Saudi Arabia for the moment, despite expressing "consternation" over Khashoggi’s death. Saudi Arabia was Spain’s third-best weapons customer in the 2013-2017 period, according to El Pais newspaper. Back in September, Defence Minister Margarita Robles attempted to halt the sale of 400 guided missiles over concerns about their potential use in the Yemen War. Yet the prime minister demanded that the transaction go ahead after Riyadh threatened to retaliate by ending a €1.8-billion contract with Spain. Workers also took to the streets in protest demanding their jobs be defended. Donald Trump's response to Khashoggi's (an American journalist killed in the Saudi embassy in Turkey) death comes in stark contrast to the likes of Germany — shortly after news of the journalist's death, the US president said he did not want to ruin a "tremendous order" of weapons from Saudi Arabia, and that "some form of sanction" would be preferable. Trump has heralded Saudi Arabia's purchase of $110 billion worth of US arms in 2017, although experts claimed this figure was inflated and some parts of the deal appear to still be up in the air. The other important factor is that the total cost to the Pentagon of those midair refuels for Saudi and Emirati warplanes in Yemen is $331 M, per @SenJackReed. And after review, the Pentagon have said they will recoup that amount from the coalition. Whether they will actually recoup it or not will be seen in the future. 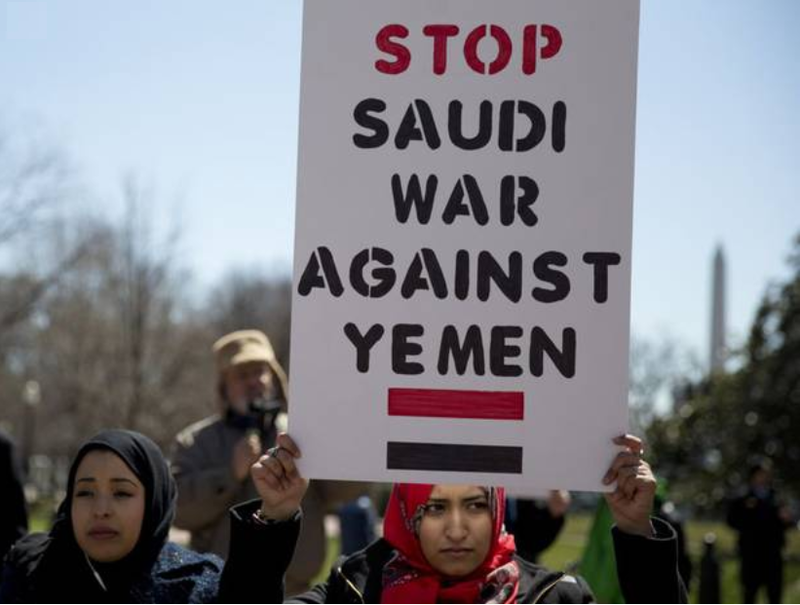 On the positive side of the scale, another poll by YouGov for Save the Children and Avaaz published in August 2018 found that 13 percent of the British public supported the sale of weapons to the Saudis, while 63 percent opposed them. It also indicated less than one in six people (14%) think that the UK’s role in supporting the Saudi/UAE-led coalition reflects British values and interests. The unfortunate sad case is that the governments seem to have a lack of morality when it comes to the war in Yemen, killing thousands and leaving millions on the brink of famine. ﻿“Without the information to start a public debate we will become lost. People being able to question our governments and hold them accountable is a principle democracy was founded on and if nothing changes, more and more people will stand up and ask questions. When they try and scare us into sacrificing our basic human rights we won’t be intimidated and we won’t give up. We will not be silenced”. Edward Snowden. First we should consider what is the biggest question surrounding the war in Yemen? Is it about location, resources, power…? Who has the most to gain from the ongoing war? Do we pressurize governments to give up the current vast economic resource coming from the arms sales, oil and gas resources? Will governments even consider their people’s voice in front of the profits and kick backs they will be making from the deals currently happening? Perhaps the unfortunate and sad reality as it stands now, especially when we consider the people involved, the answer will be no. But, if that is the case then what we do and how we act will define our future without doubt! Philip May, husband of the UK prime minister, Theresa May, works for a company that is the largest shareholder in arms manufacturer, BAE Systems, whose share price has soared since the recent airstrikes in Syria. The company, Capital Group, is also the second-largest shareholder in Lockheed Martin – a US military arms firm that supplies weapons systems, aircraft and logistical support. Its shares have also rocketed since the missile strikes last week. So, the future in the short term does not look promising but in saying that, Theresa May’s position is not looking very positive due to the ongoing issues surrounding Brexit. And on top of this, in March 2018, Britain and Saudi Arabia set out an ambition to build £65 billion ($90.29 billion) of trade and investment ties in coming years. “The meeting agreed a landmark ambition for around £65 billion of mutual trade and investment opportunities over the coming years, including direct investment in the UK and new Saudi public procurement with UK companies,” a spokeswoman from Prime Minister Theresa May’s office said in a statement. ● Alwaleed bin-Talal, a member of the royal family purchased the 282-foot yacht "Princess" for $20 million in 1991 after the boat was repossessed from Trump (Trump was nearing bankruptcy at the time) and was part of a group that purchased the financially troubled Plaza Hotel for $325 million in 1995. ● In 2016, the New York Daily News reported that the Saudi government also purchased the entire 45th floor of the Trump World Tower, for $4.5 million, in June 2001. Given annual fee fares for the building at the time, Trump also was paid $5.7 million by the Saudis between the purchase and 2016, the paper reported. Trump also bragged about his business dealings with the Saudis during a 2015 campaign rally in Mobile, Alabama. "I get along great with all of them; they buy apartments from me," Trump said. "They spend $40 million, $50 million. Am I supposed to dislike them? I like them very much!" So where does this led us too and how should we act? We already know are aware of this undeniable fact, the point now is how we will act about it. Will we chose to ignore it for monetary gains or will we raise our voices to change. The biggest question we must ask each other is what do we desire more, human rights or capital gain? Which is more important to you? The world's worst humanitarian crisis spiralled after the Saudi-led coalition launched there offensive to support the government against Iran-aligned Houthi rebels back in March 2015 and very little has changed since. According to the World Health Organisation it has so far killed at least 10,000 people, and this number is expected to get a lot worse in 2019. So, what was created at a dark time in our history to shine a light into the world, it is now appropriate to question the original concept and principal mission, and say that it is being completely and totally flawed due to what we have actually seen since the end of World War I. And in fact it could be argued that certain countries that have the largest stake within the U.N. have completely ignored these basic principles, and have done almost the complete opposite all in order to profit and gain. If this is what we can class as civilised society then perhaps we need to re-evaluate our morals and ethics as a species, and this is not the only case in question, as there are a substantial amount of others as well such as global warming, climate change, deforestation, the elderly, equal opportunities, the poverty line and so on! I go back to my previous article, and a golden rule in life that I very much practice, being, the principle of treating others as I would want to be treated. It is the maxim of many religions and societies but what we seem to be witnessing from a vast majority of people is almost the complete opposite. I myself would urge each and every person take a good hard look in the mirror. Look at your grandparents and your own country's history. See how they acted and now, try and put yourselves in the shoes of these young Yemeni men and women now stuck in a war they cannot escape. One person may not make a difference but if that one person can inspire another, who in turn can inspire the next, eventually the number will rise and the voices will become all powerful. I leave you with several thoughts after considering everything I have put forward in this article. Let every moment you have be worthwhile. Let your action back up your voice, your word reflect your thoughts, and your commitment reflect your ambition and desires. How we all choose to act in any given situation will affect not just you but also millions of others, so be wise, be thoughtful and be prepared to be questioned. For without questions there are no answers and without answers we cannot understand. “...the old civilizations claimed that they were founded on love or justice. Ours is founded upon hatred. In our world there will be no emotions except, fear, rage, triumph and self-placement...there will be no loyalty except to the party but always there will be the intoxication of power. At every moment there will a thrill of victory, a sensation of trampling on a enemy who is helpless….the moral to be drawn from this dangerous, nightmare situation is a simple one. Don’t let it happen. It depends on you.” - George Orwell. Mawby, Spencer. British Policy in Aden and the Protectorates 1955-67: Last Outpost of a Middle East Empire (British Politics and Society) (p. 6). Taylor and Francis. Mawby, Spencer. British Policy in Aden and the Protectorates 1955-67: Last Outpost of a Middle East Empire (British Politics and Society) (p. 9). Taylor and Francis. Mawby, Spencer. British Policy in Aden and the Protectorates 1955-67: Last Outpost of a Middle East Empire (British Politics and Society) (p. 27-28). Taylor and Francis. A.Dawisha, Nationalism, pp. 164–6; M.Barnett, Dialogues in Arab Politics (New York, Columbia University Press, 1989), pp. 116–18. K.Kyle, Suez: Britain’s End of Empire in the Middle East (2nd ed. London, I.B. Tauris, 2003), p. 101. The most detailed account of Anglo-American relations in the Middle East before and during the Suez crisis remains W.S.Lucas, Divided We Stand (London, Hodder and Stoughton, 1991). Parliamentary Papers 1956–1957, Vol. 23, Cmnd. 124. Mawby, Spencer. British Policy in Aden and the Protectorates 1955-67: Last Outpost of a Middle East Empire (British Politics and Society) (p. 4). Taylor and Francis. F.Halliday, Arabia Without Sultans (London, Saqi Books, 2002), pp. 237–9. Soage, Ana. (2017). What is really behind the Saudi-Iranian cold war?. Instituto Español de Estudios Estratégicos. 71. 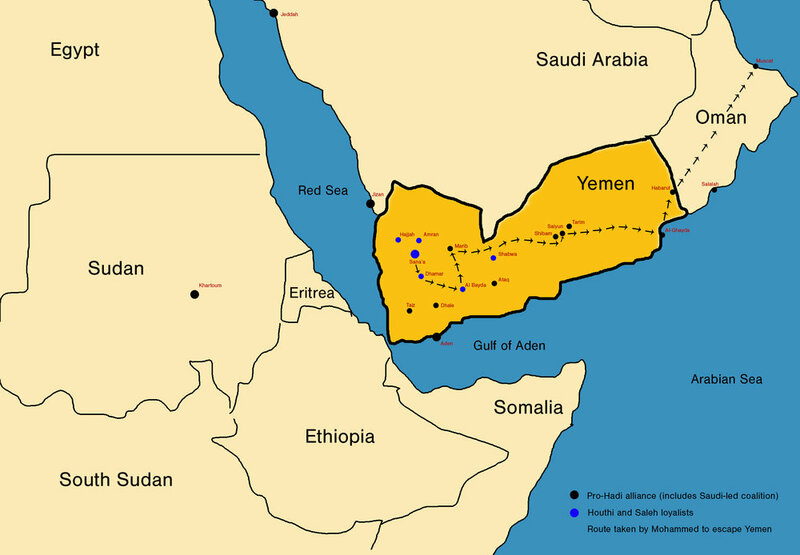 The association of Yemen with terrorism in the western press predates the attacks of 2001 and began first with coverage of kidnappings during the 1990s and continued as a consequence of the attack on the USS Cole in Aden harbour in October 2000. of the attack on the USS Cole in Aden harbour in October 2000.